Our insiders from Romblon gave us a glimpse of the groundbreaking for Ancop Canada’s second housing community in the province. Recipients, partners and community officials of Lunas, Romblon joined in the event which started with a blessing of the site. 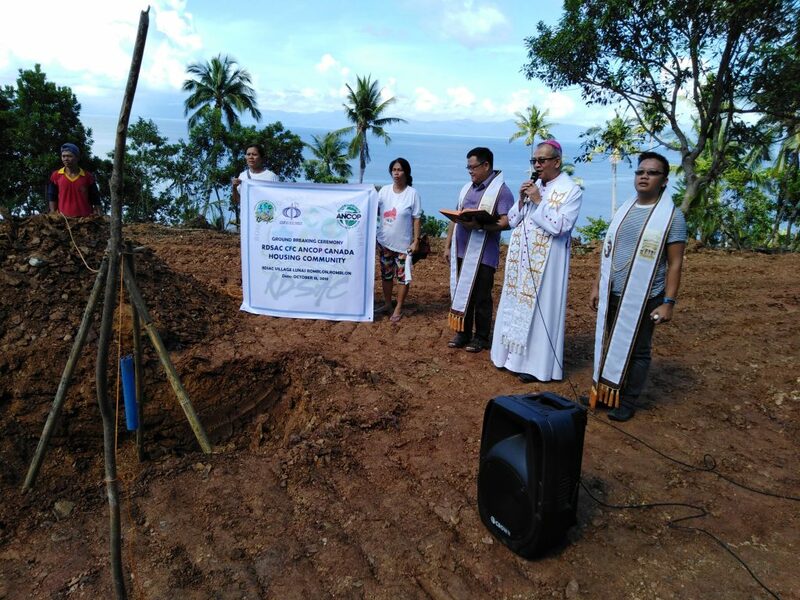 The Groundbreaking ceremony was headed by Bishop Narciso Abellana y Villaver, bishop of Romblon. Together with two priests led the prayers and blessing of the site which will soon house about 20 families in the nearby localities who are mostly fishermen. Romblon was selected mainly because it is one of the poorer provinces in the Philippines with most people relying only on farming, fishing, and inland trading. Far from the nearby main cities, the islands of Romblon and with fewer population than most provinces in the region, the province has become a less priority in receiving financial aid from the government. ANCOP moves forward with its mission to help the poor in the province of Romblon with yet another housing community. This has been the second one in the province with the first community now populated by 28 thriving families.